February started cold - several degrees below Celcius for several days - sunny days with morning frost coating everything outside. A bit closer to spring (snowdrops made the mistake of pushing their leaves through the soil just before the freeze). Flowering bulbs and bouquets are my spring 'go to' right now. Last year DGS gave me a heart shaped box of chocolates with love. So sweet. 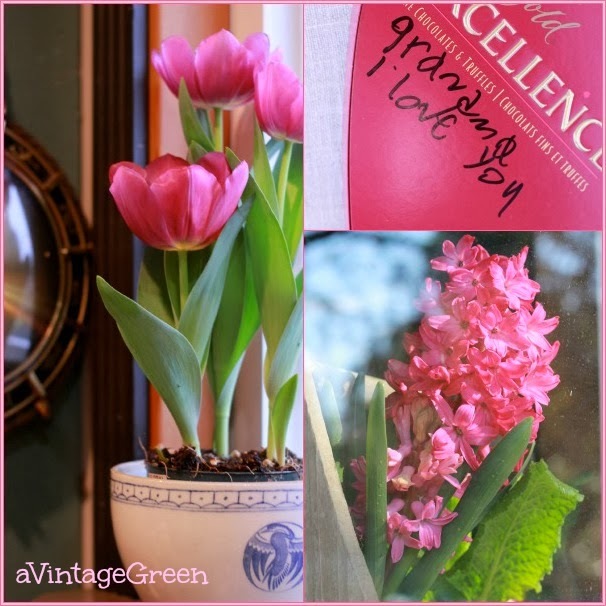 The potted flowering bulbs have brightening the windowsills. So, in a round about way, this leads to ... plant stands. 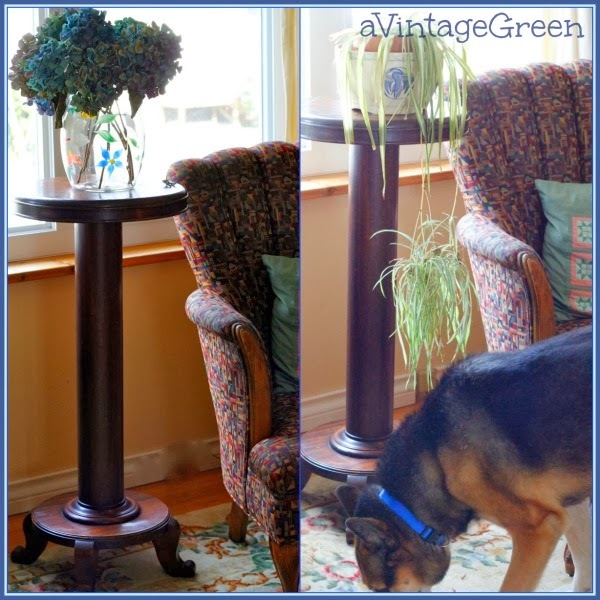 Never thought that an Edwardian Victorian Fern Stand would be found while out thrifting. Peaches walking through. 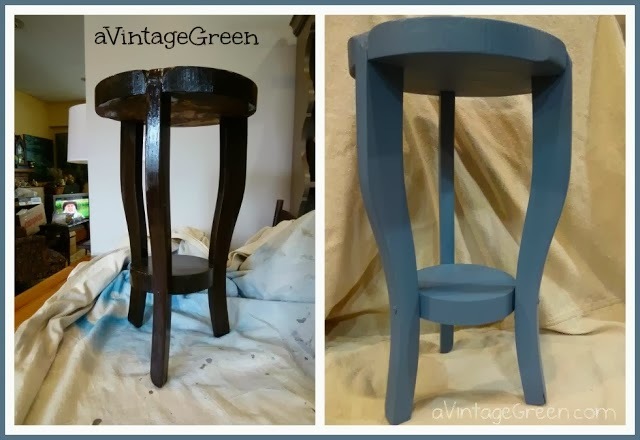 This beauty needed some careful veneer repair/gluing on the base, a good wipe down with very fine steel wool and a furniture cleaner and finally a smooth application of Varithane Satin. 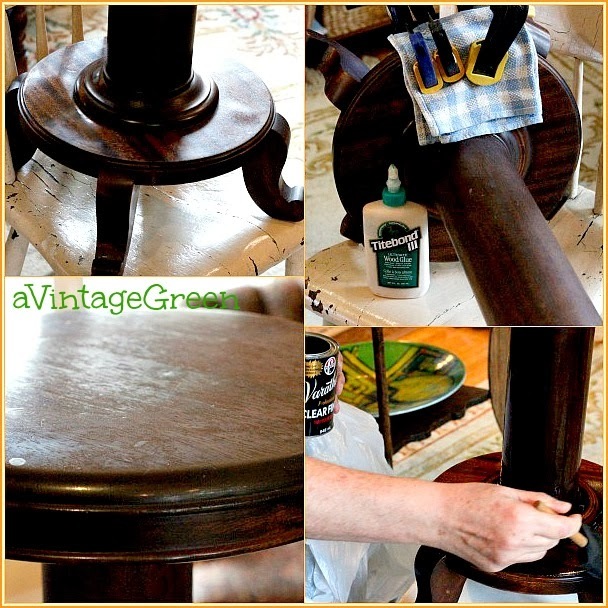 A haze appeared on the top so DH used a very fine sandpaper to remove the various layers of finish and when he had a clean surface he reapplied a wipe-on walnut stain, varithane and finally wax. I found this to be the most versatile of the plant stands shown in this post. 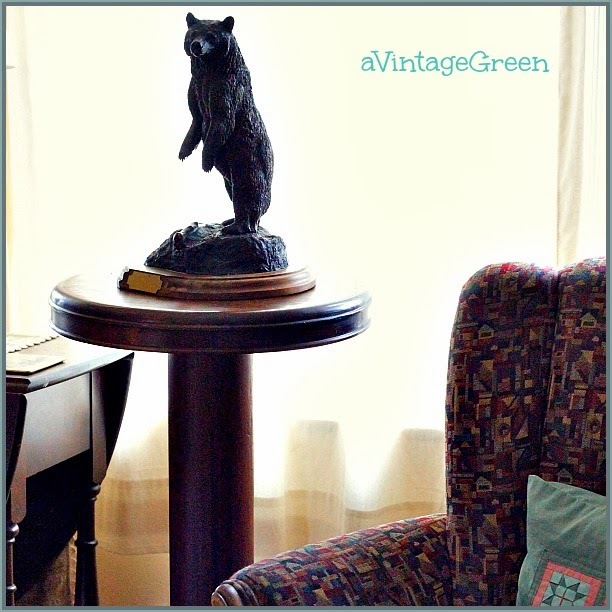 Good for showcasing ornaments, vignettes (and of course, plants). Its darker color lets it merge into the background. It has that old world character, something that settles in and is very useful but doesn't stand out and 'take over' the room. 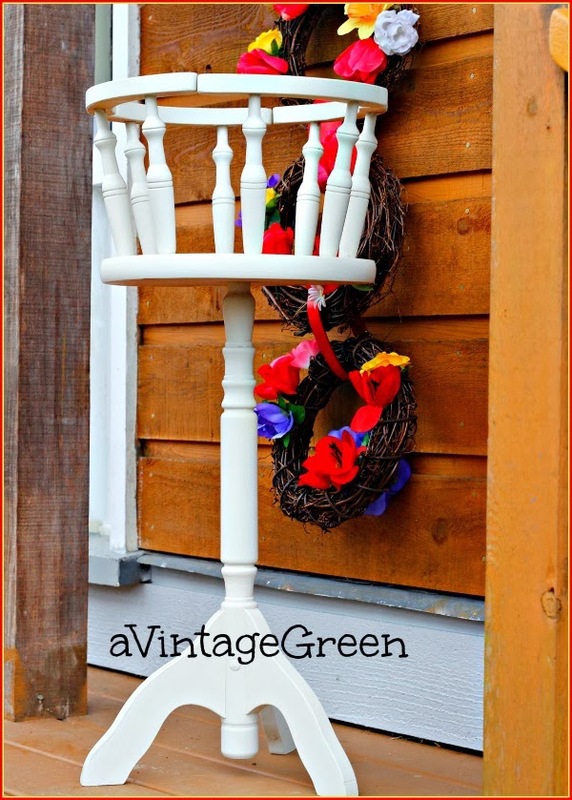 Next is the white plant stand. 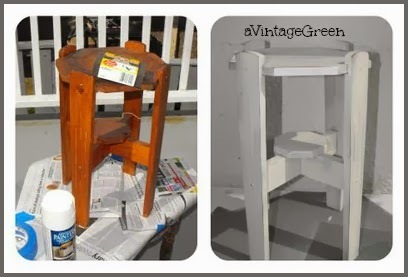 Originally a plant stand kit project (my best guess) thrift find. Already painted white. Just needed some tightening and cleaning (fly specks, dirt, spider webs). You may be able to see Diesel who was photo bombing (hoping for a bite to eat). Handy stand for draping plants and vignettes. Some time ago I painted/posted about the two smaller plant stands below. They were two of my early chalk type painted projects. Handy multi-use little tables. (first, second, third, fourth here). - 11 - too Many Chairs ! See you again on Monday 7 a.m.
You do such beautiful work! It's like spring here in Texas today! I even have a door or two open to the fresh air! I love your beautiful plant stands. 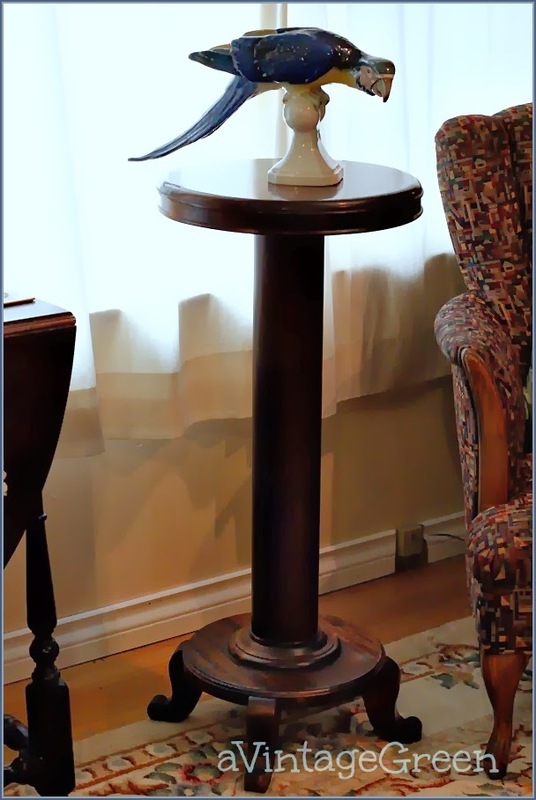 Love all your stands Joy, but the Edwardian Victorian Fern Stand is my favorite. Love that you left it unpainted. Looks so good. Joy you have such a beautiful collection of plant stands! Thanks for sharing them at TTF! Happy Valentine's Day! Lovely! I wish I had more - if the height fits, they make good little side tables for tight spaces. Speaking of tight, nice job on tightening them! I hesitate to buy things that are wobbly, because I'm not sure how to fix them. Thanks for sharing at Revisionary Life Thrifty Life Thursday Link Party! That is one gorgeous stand. My Mom used to have a beauty just like that one, I always loved it. I'm glad that I made you laugh today. Hi Joy, the plant stand is such a wonderful find and I admire the way you returned it to its original beauty. Thanks for the pick me up of flowers....hoping for spring to come soon. 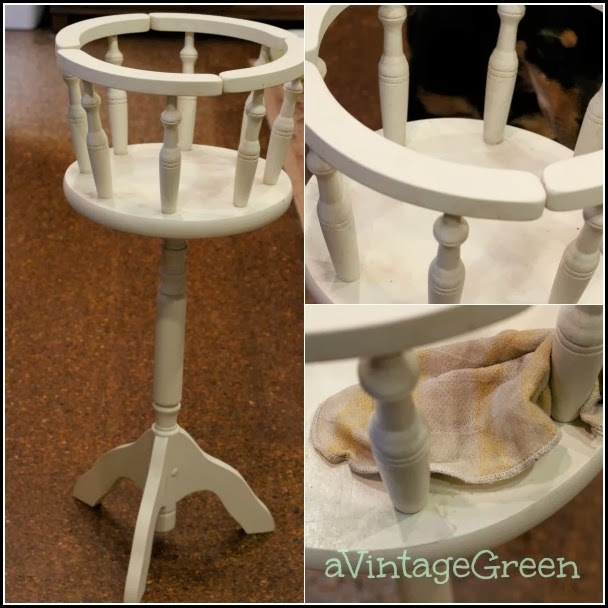 I love the first plant stand, you did a nice job repairing it! Plant stands are fun! I love the legs on the first one. I have found a couple of old iron ones that I love! Thanks for sharing with SYC.